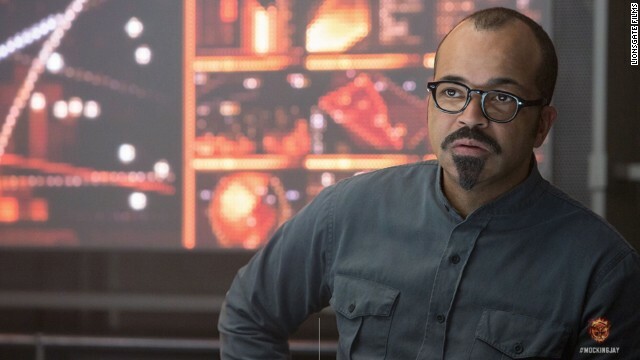 As President Snow drones on about how the nation "has never been more unified," all of a sudden tech master Beetee (Jeffrey Wright) breaks through with an urgent, pirated message from District 13: "The Mockingjay Lives." Can.Not.Wait until November 21, when "The Hunger Games: Mockingjay - Part I" will land. The other trailer that's caught our eye is the clip for Ridley Scott's "Exodus: Gods and Kings," starring Aaron Paul and Christian Bale. The Biblically inspired epic casts Bale as Moses, the Old Testament freedom fighter who liberated the Jews from Egypt. It looks like Scott is going to give us a run of all the plagues that beset the Egyptians before Moses' people were finally let go when the movie arrives December 12.